Our Webbing Clothing Moth Exterminator will create a customized Treatment plan to eliminate your Moth Infestation. 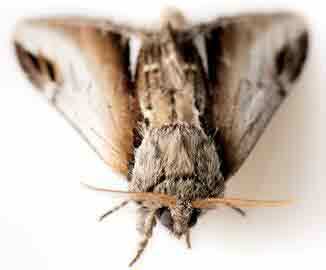 We specialize in treating Indian Meal Moths and Clothes Moths. Let us be your Pest Control company that you can depend on, Give Us A Call Today 1-844-305-8999. 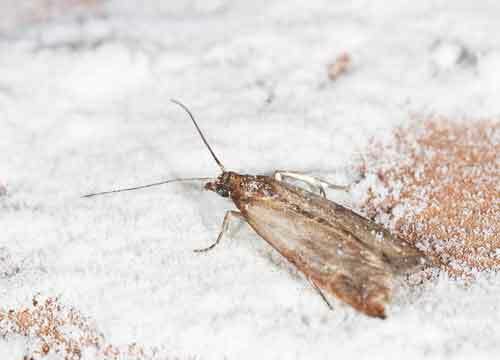 Tineola bisselliella, known as the common clothes moth, webbing clothes moth, or simply clothing moths, is a species of fungus moth. 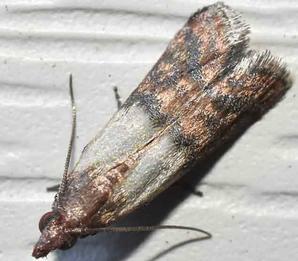 It is the type species of its genus Tineola. If you notice you have Webbing Clothes Moths, Give Us A Call. 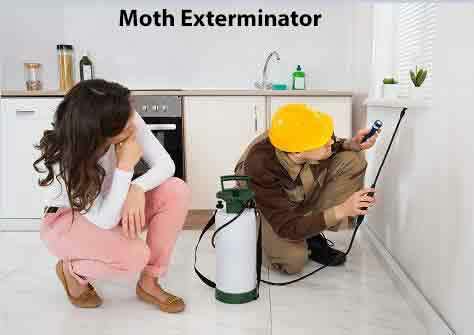 Our Webbing Clothing Moth Exterminator specializes in eliminating all kinds of Moths. 1-844-305-8999. The Female Webbing Clothes Moths lay eggs in clusters of between 30 and 200 which adhere to surfaces with a gelatin-like glue. These hatch between four and ten days later into near-microscopic white caterpillars which immediately begin to feed. They will also spin mats under which to feed without being readily noticed and from which they will partially emerge at night or under dark conditions to acquire food. Development to the next stage takes place through between five and 45 instars typically over the course of between one month and two years until the pupal stage is reached. At this point, the caterpillars spin cocoons and spend another approximately 10–50 days developing into adults. This species is notorious for feeding on clothing and natural fibers; they can digest keratin protein in wool and silk. The moths prefer dirty fabric for oviposition and are particularly attracted to carpeting and clothing that contains human sweat or other organic liquids which have been spilled onto them; traces of dirt may provide essential nutrients for larval development. Larvae are attracted to these areas not only for the food but for traces of moisture; they do not require liquid water. Both adults and larvae prefer low light conditions. Common Webbing Clothes Moths seem to prefer dim or dark areas. If larvae find themselves in a well-lit room, they will try to relocate under furniture or carpet edges. Handmade rugs are a favorite, because it is easy for the larvae to crawl underneath and do their damage from below. This is probably the most common pest of food found in the home. 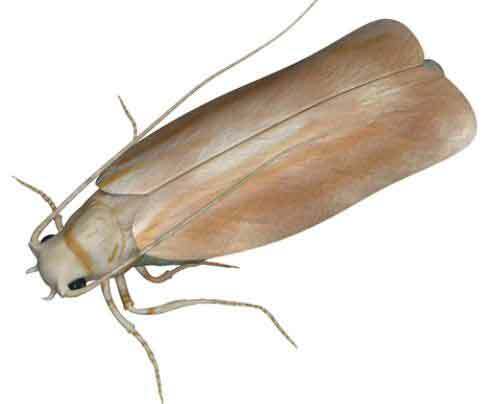 The Indian Meal Moth is often confused with the Webbing Clothes Moth, a fabric pest. 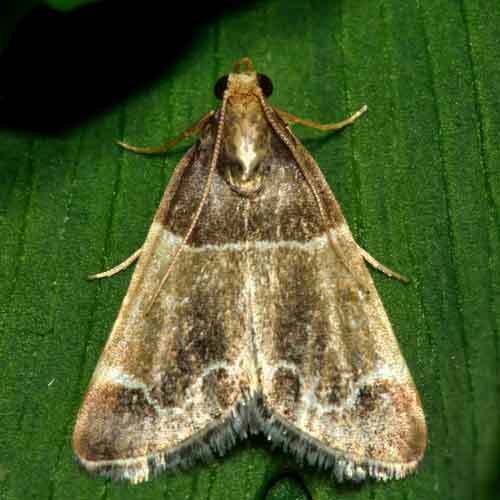 Indian Meal Moths affect food product and not fabric. Webbing Clothes Moths affect fabric only. Another way that this pest may enter food is from a store that has an infestation of this insect. The immature stages of this insect may crawl into other food packages thereby introducing Indian Meal Moth into a home or business. Our Webbing Clothing Moth Exterminator is NYS Certified and trained to combat all types of moths. Call Dependable Exterminating Today. 1-844-305-8999.